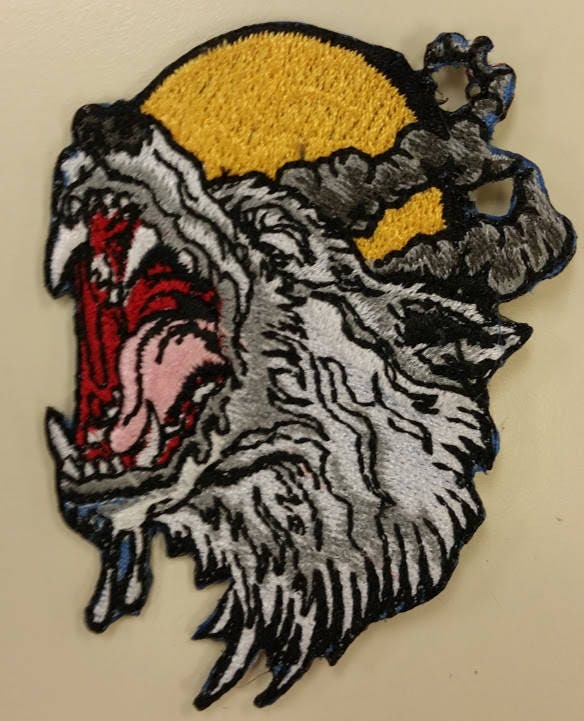 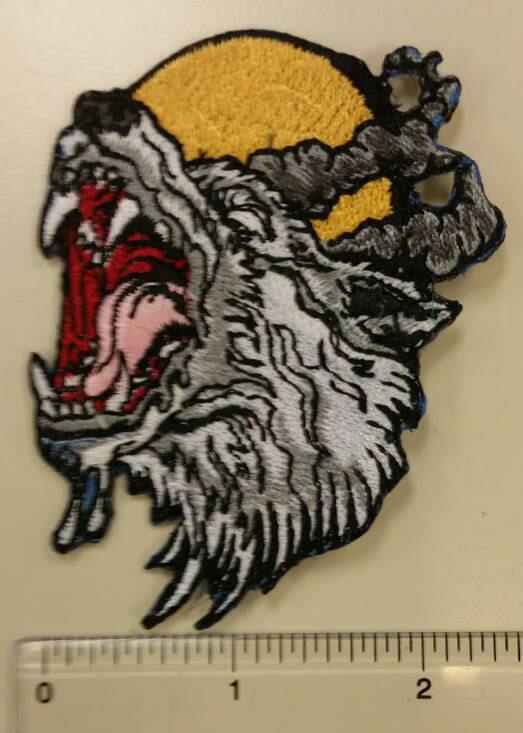 This detailed wolf patch features a slobbering wolf howling with a moon in behind the wolf. 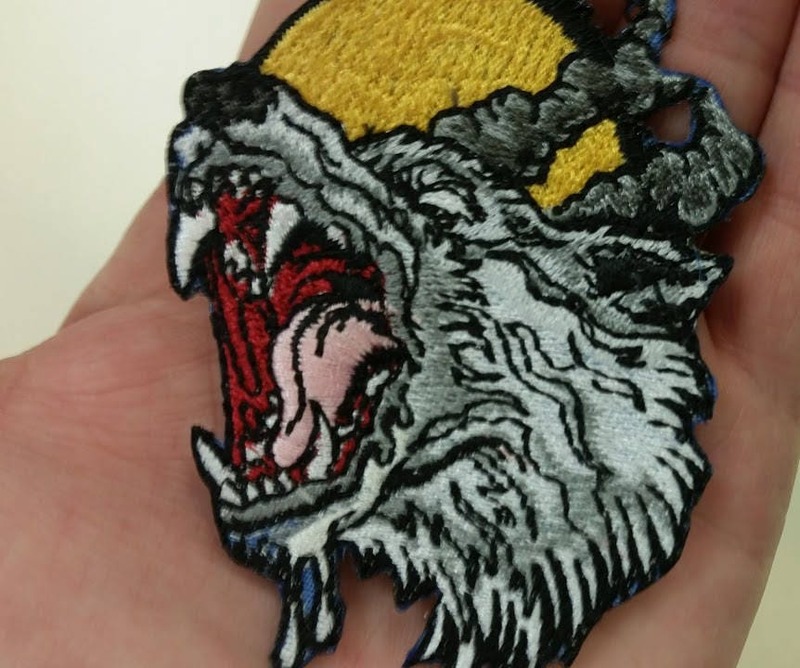 This patch is a filled patch with white, gray, yellowgold, charcoal, pink and red thread. 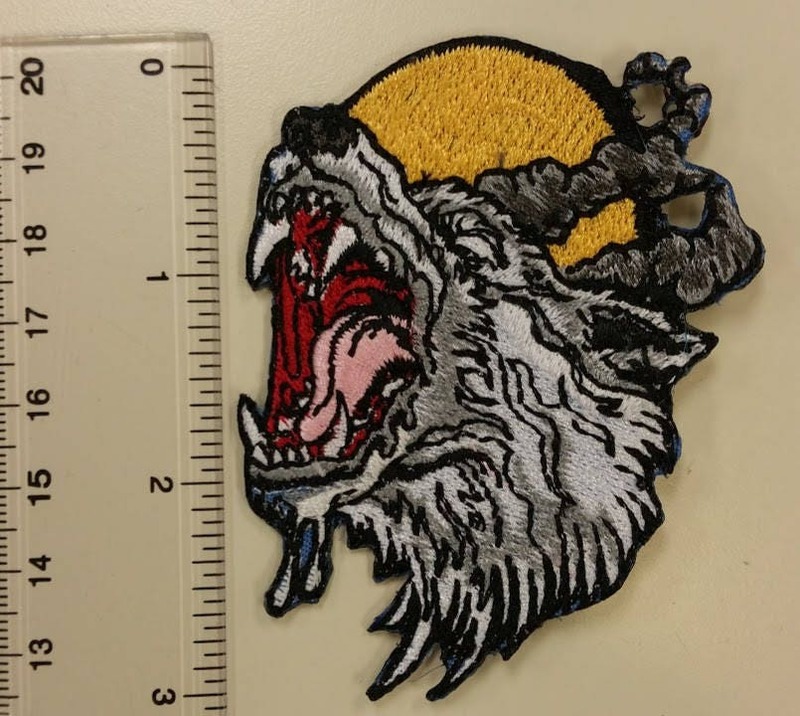 It measures approximately 2.5"W X 3"H. If you love wolves, you would love this patch.